Microsoft released security updates that prevent HTML files with .XLS extensions to be opened natively. This may not affect all clients, but only those who have recently installed one of the three Microsoft updates. For Informetica, this means that reports exported to Excel are affected. This is not a bug that Informetica introduced and it affects several other non-Informetica applications. When opening an Informetica Excel report, you do not get any message and nothing is displayed. You only see a grey screen with no data. Microsoft released an article with possible workarounds while they work on a more permanent solution. We recommend that you use this unblock workaround until further notice. 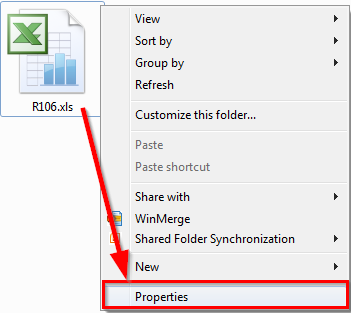 Before opening the Excel file, click on the small down arrow beside the file name and select Show in Folder. Your report is automatically selected in the list of downloaded files. 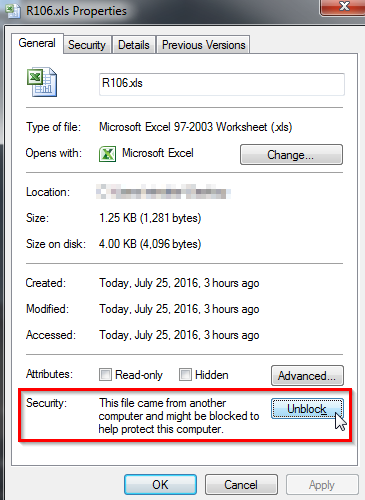 Right-Click the Excel file and go to Properties. Make sure you are in the General tab. Select Unblock and then Apply.